We're celebrating this Saturday's Creative Women Mini-Con with an LE Merpug lapel pin! -- AND it comes with magical benefits to its bearer! 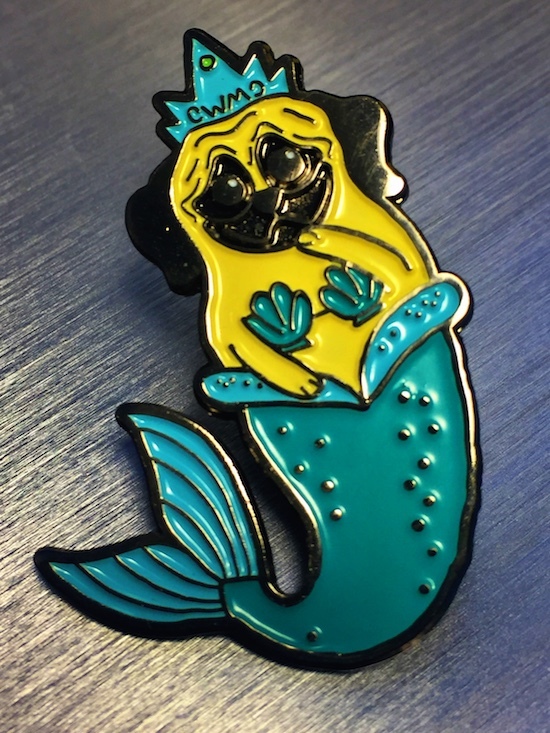 Buy 1 or more Merpug pins by Friday, then wear it Saturday to magically enter ONE HOUR EARLY to connect with this year's creative women and take advantage of the SALE before everyone else! 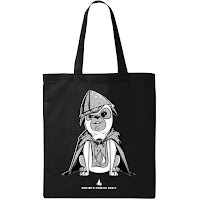 This Merpug is only available through Saturday. After that, the Merpug swims off, never to return. Can't make it in by Saturday? Get yours online for $5.99 and pick it up in the shop! The Merpug pin is the first in a series of limited-edition, locally designed, event pins. Add the pin to your Rolly Tote for bonuses at future events and in the coming months. 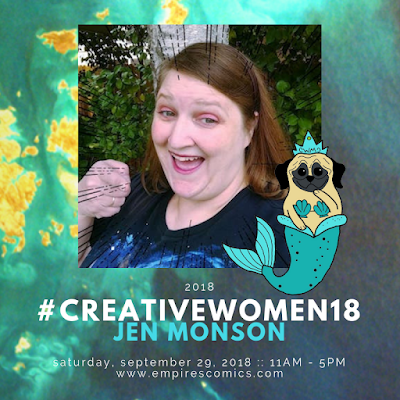 This year's limited-edition pin was created by Creative Women Mini-Con artist Jen Monson. Jen experiments with various media and themes and always offers something new and exciting in both art and crafts. Meet her this Saturday. 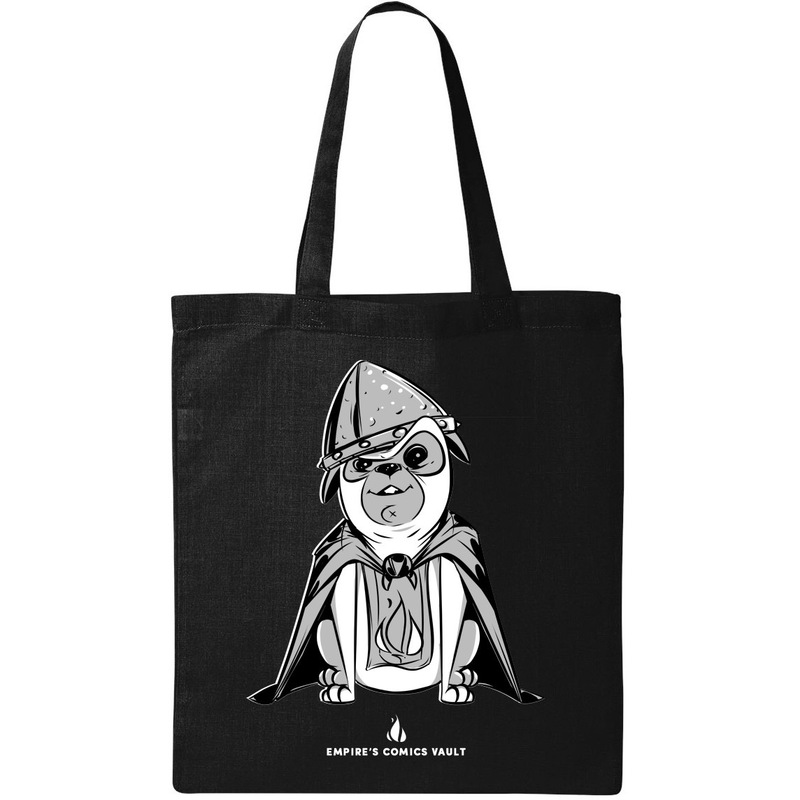 For #CreativeWomen18, pick up a combo Rolly Tote and Merpug Pin for $14.99 (Tote: $12.99 REG; Pin: $5.99 REG). Get it in the store or use the button below. Paint the star-filled sky. LEGO build. New Tote!